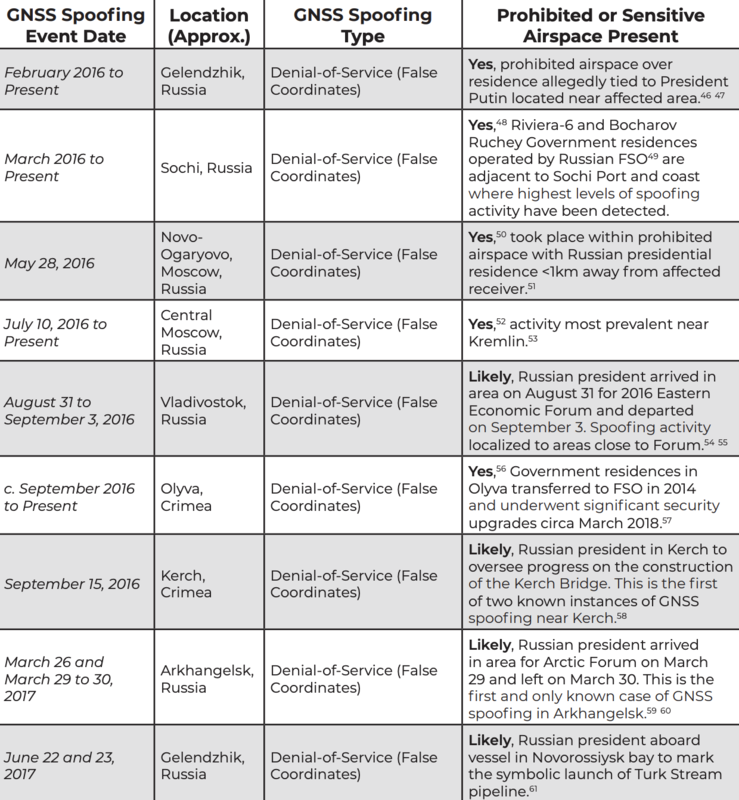 A study published by the Center for Advanced Defense has determined that the Russia security services are using a cutting-edge new technique, presumably to protect President Putin - as well as several government buildings in Russia, and military facilities in Syria - from drone attacks. 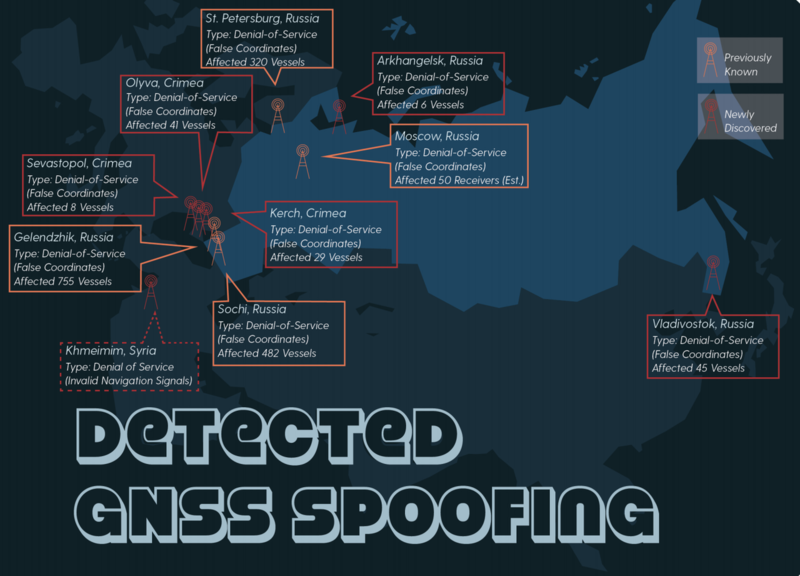 Using publicly available data sets and reports on social media and in the press, the organization pinpointed incidences of "GPS spoofing" when an electronic weapon scrambles the data stream between nearby ships, vehicles and aircraft and the satellites that help power their navigation systems. In many cases, like one incident that occurred near the Kerch Strait, the site of a skirmish late last year between Ukrainian and Russian forces. 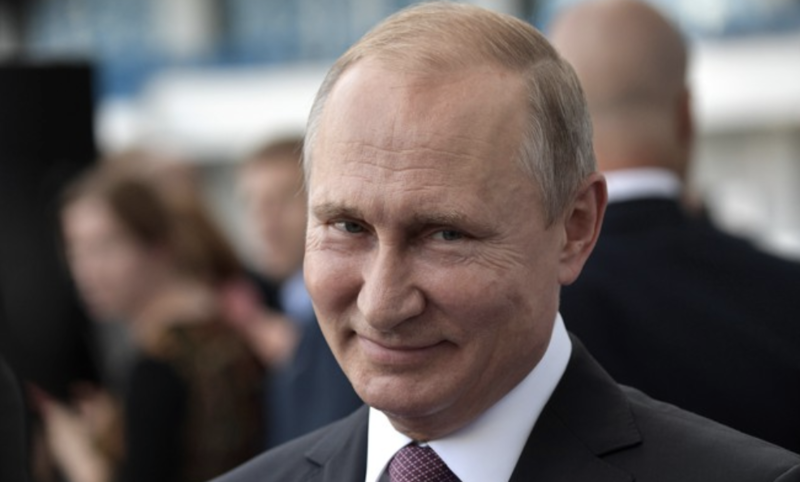 As Putin and a convoy of construction vehicles crossed a new bridge over the Strait, the GPS of ships docked in a nearby harbor suddenly went "haywire." ....surmised that the GPS scrambling technology was employed to protect him against drone attacks, or airborne robot spies. 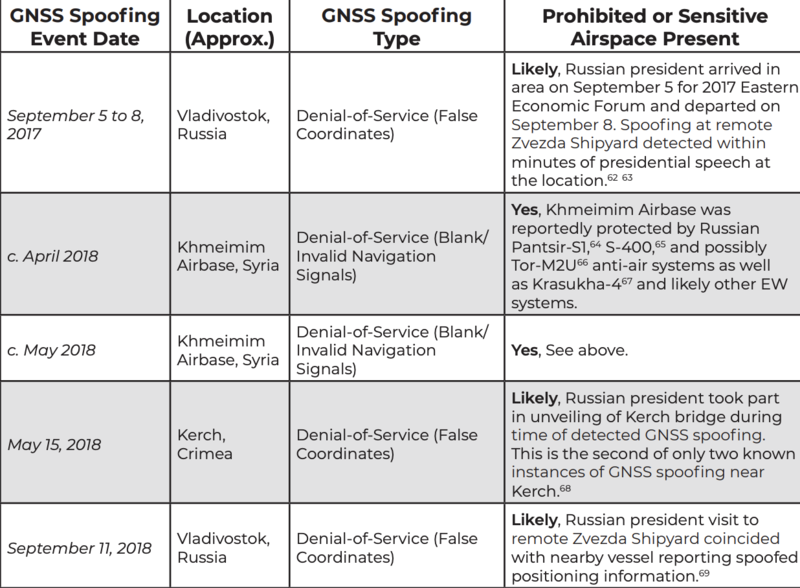 The report also identified buildings used by Russian security services or the president that appeared to be hotspots for spoofing activity, and detailed several incidents of suspected mass-spoofing activity. While the technology was presumably employed to protect Putin, there is an inadvertent drawback that could be used by exploited by malicious actors to stalk the president. It also creates the possibility for collateral damage. Unfortunately, this drawback would probably exclude GPS spoofing from the list of possible anti-drone techniques employed by airports...we imagine the security staff at Heathrow and Gatwick will be very disappointed.